So i get the whole being upset with the illegal releases. Besides that what is the problem with reintroducing a native species? Even if it did inter mingle with coyotes. Really? Can you provide us a map of where this "native species" once roamed freely in North Carolina? Please study hard now so you can provide hard evidence and not some whacked out theory about this "red wolf"
Prove to me that what was released was a native species, unto itshelf, any where in the US. Respectfully, there's over 5k posts in this thread that has answers to questions such as yours. Do your homework and then ask this kind of thing if necessary. Didnt really want to read through 5k posts. Figured asking yall would get me answers quicker. From everything i have looked up and read it says they were native to pretty much the whole east coast from Pennsylvania down to Florida and other parts west of there. Seems like the roamed a lot of NC. It also seems like they were fairly prevalent until the 1900's. I looked at several different sources for this info and it all pretty much says the same thing. Is there info to disprove this? I havent found it. Nope. If you're really interested and not just stirring or another troll, you'll do your homework. Okay ECU, one clue. 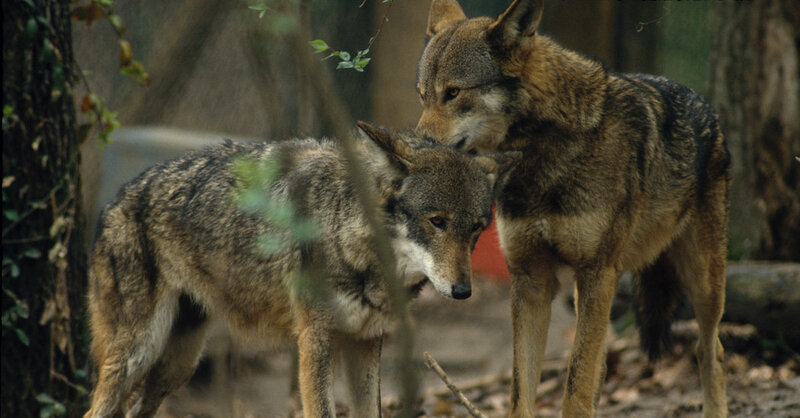 How many specimens of red wolf have been recovered from historical eastern NC. I'm curious if the genetic diversity in the captive population can even be sustained long term. I've heard about hereditary dental and optical defects in the current breeding population. It doesn't sound promising. That's why I said you'd need to study hard. You'll need to really weed through all the organizations that are out there to make money on this bankroll of an animal that has been created in a lab. Another interesting tidbit you may want to consider is how the DNA of this animal has shown up in some "wild" red wolves on the coast of Texas, since there's no map that I've found showing them in that area. I think you'll find many more questions than there are answers when you start looking into the NC "red wolf" fiasco. Do you mean as in bones from red wolves who existed in the past? I have no clue about that. Though I imagine after a couple years there is little evidence of any animal that dies in the wild. Unless it is somehow fossilized. There are numerous historical maps in this thread. Nothing ever points to them being in NC until one particular map gets pulled out of nowhere and suddenly shows NC as a hotbed of Red Wolf activity. According to the most recent studbook entries, more pups die or are euthanized than are placed in "the program". Do you mean exact DNA matches for a species or they share similar DNA? Please read actual studies that are available, not just this site or pro wolf sites like the RWC site. I looked for them on google and couldnt find anything. Every map had them in NC. I read the first 4-5 pages or more of the thread. Didnt feel like going through the other 175. Can you link me them. i cant find them. There are no "red wolves" in existence today so there can be no exact DNA matching. I just thought that you'd find it curious how a group of "wild" red wolves already existed and yet there was a program that has been granted millions of dollars of your tax payer money to re-create them. Recreate them or breed them in captivity? Unless there is a different program. From what i know about saving endangered species its pretty common to capture that last survivors and breed them in captivity to get numbers up and re release them. like the California condor. Pssssst...there are no "last survivors"..they have been extinct for many years. "trilobites and dinosaurs are extinct"
So your saying the ones they found in Texas and Louisiana were not red wolves? Many species have been declared extinct only to be found again in the wild. Just because man says its so doesnt make it true. Im speaking of the wolves found in these states in the 1970's-1980's. The ones used to establish the captive breediing program. Not the canines with wolf dna found recently. Maybe that clears up some confusion. They went extinct in the "wild" over 40 years ago. That was because they captured and moved the last remaining ones. Thats why im confused when people say they never existed when they reintroduced them. All this and much more has been hashed and re-hashed in several threads. Look at the DNA of the animals from Texas and I think you'll find that there's been no "red wolves" in existence for many, many years. Kinda like saying that because a malamute dog looks like a wolf, it must be one. Actually it was the sixties, they were chosen morphologically, not genetically. The existing "wild" population is NEP. The finding highlights the shortcomings of laws intended to protect endangered species that don’t take into account research of the evolution of species. This article talks about red wolves being 75 coyote. it references a scientific study. It also says they have probably been this way for a long time, centuries or more. So even if the "red wolf" is really a coyote wolf hybrid, why would reintroducing it be a problem? Its just putting an apex predator back in the food chain that was missing for a while. This proved very helpful in yellow stone and actually did lots of good for the park as a whole. Sorry,. I was asking what NEP stood for.